Out on the Iditarod trail, you will find the most talented mushers and teams in the world. But they didn’t walk into the sport as champions. No, it required a process. It required a commitment to growth—at the personal and professional level. On the trail, as the winter snow melts away, new life emerges—fresh spring vegetation, running water, and another year of preparation. Even after the race ends, mushers begin creating new plans and identifying new growth opportunities for themselves and their teams. The team that contents itself by remaining the same between races will start well behind every other pack next year. When I believe that I’ve already “made it,” my creativity and curiosity deteriorate every time. On the other hand, new input always generates fresh energy. Favorite inputs of mine include listening to audiobooks, podcasts, and engaging personal mentors. Whenever I get the chance to read even a couple chapters of a new book, I feel rebooted. Let the hunger for growth fuel the fire of passion for your life and business. Today, it’s easier than ever to instantly find something to read, something to hear, something to learn, somewhere to grow. So there is no excuse for standing still. Everyone improves for different reasons—but without a reason, you’ll be headed nowhere fast. On the Iditarod trail, survival, competition, and the fulfillment of a lifetime of training keep the team on task. When I first started in leadership, I was motivated to grow because I knew enough to know that I didn’t know enough. I needed those experiences that brought me face-to-face with personal and professional shortcomings. Case in point: At age 18, I was #1 in sales for my department. So when the department management position became available, they turned to me to fill it. I called my first manager’s meeting for the next Saturday with the agenda to teach everyone else in the department how to sell better. No one showed up for the meeting. The pain of that event caused me to want to grow and learn. Even after years of experience, I’m still growing and learning to extend my personal potential. Potential isn’t a destination; it’s the constant inspiration to keep moving. There are still better ways to do what I do—better ways to lead, teach, speak, coach, facilitate, etc. The trail of leadership is a lifetime journey. Whatever reason keeps you on the move—pain, potential, or even curiosity— write it down, post it up, keep it where you can always remember to stay inspired. On dog sled teams, when you’re strapped in with 15 other dogs and a musher, each member of the pack is encouraged to give their best work. None want to let the rest of the team down, because the consequences of checking out will affect more than themselves. It can be daunting to purposefully put yourself in a place of growth. But on the days where you would rather quit, that structure keeps you moving. And all movement forward is a lesson learned. Launch today and find something or someone to commit to that will “harness” you into growth mode. For years, now stretching into decades, I have always come back to this principle of intentional growth. Even if I am facing in the wrong direction and can only turn one degree each day—in 6 months, I can turn 180 degrees and be back on the right track! I’d love to hear about your growth experiences. Feel free to share with the rest of us your favorite method for learning and growth. You never know when your comment will be the one that touches someone else. Thanks for being a part of the leadership adventure! See you out on the trail! Those who can communicate well can change the world. (And often do!) It’s a trend you can track in every industry—from mainstream to niche market. While spending weeks in the Alaskan wilderness with veteran Iditarod mushers and their dog teams, I discovered invaluable lessons about communication. Those who learn to shape their message, effectively transfer it, and motivate others to action are the ones who often rise in leadership within an organization. They become the team’s Musher! 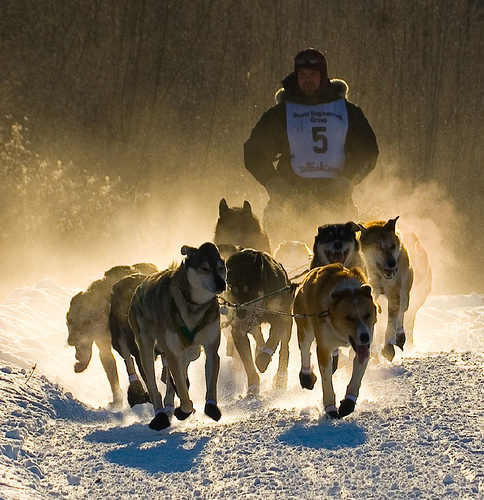 Corporate “mushers” that have difficulty communicating lose support for existing initiatives, rarely gain support for new initiatives, and are left with only their title or positional power to force team engagement. So, straight from the pack professionals, here are three communication tips (and one warning) you can apply to your team right NOW. You don’t have to flood your team with words to get them to action. But you do have to be clear, concise, and direct. In dog sled racing, you may be surprised to learn they do not use whips or reigns. In order to control, motivate, correct, and adjust, the leader verbally communicates with the team. Mushing has its own language of about 10 to 20 words—that’s it. Mush! Hike! Gee. Haw. Line out. Pick it up. Whoa. On By. Come. For years, my own communication weakness was to suggest a course of action that actually needed to happen quickly for the sake of the company. When the team failed to act or make course correction swiftly enough, I moved into “command and control” mode. Neither extreme works well and the combination of the two is certainly not recommended! The simplicity of a leader’s language reflects his or her ability to communicate with the team with speed and precision, and then inspire action. When mushing my own team through the Alaskan outdoors, I remember getting so caught up with the trail at times that I forgot to take in the landscape. Not only was it beautiful, but it was also always changing. 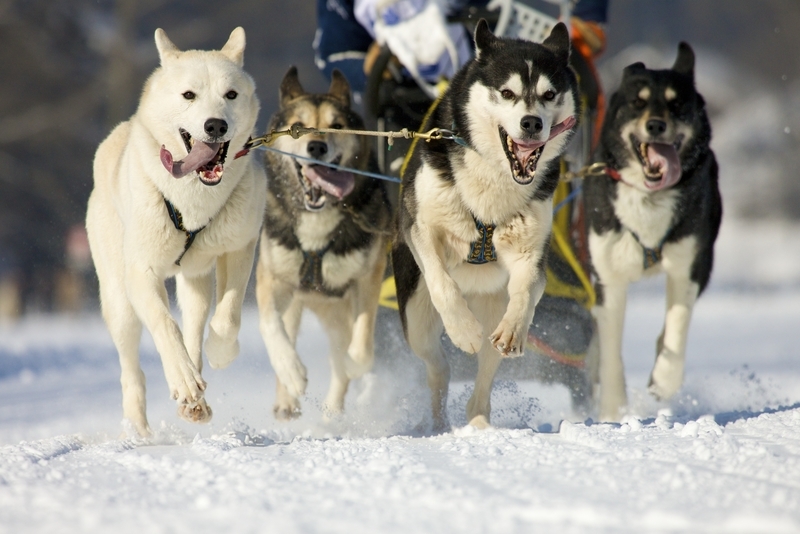 Just like the Iditarod has different challenges on different parts of the trail, so does your business communication. How we navigate each of those affects our race success. And the list goes on….. I encourage you to take a minute today to think about your communication strengths and weaknesses. Where on the trail are you strong in communication and where are you weak? Did you know that every day you say a lot to your team—without speaking a word? In the dog kennels we could instantly tell which dogs belonged to each musher because the pack mirrored their leader’s energy. My Norwegian mentor, Nils, created a sense of stoic, serene strength in his pack. They didn’t jump or howl, but waited patiently for the next training run, feed, or move. He believed this self-control made the entire pack stronger. Another musher led a team of exuberant dogs. (You couldn’t miss them.) He could work them up into a frenzy of excitement for the race ahead, and he took encouragement from their energy. While I knew Nils dogs ran well under his training, I also loved how the loud pack spurred each other on and amplified this sense of adventure. Two successful teams. Two different cultures. Two different communication styles. Each team behavior, however, originated from the leader’s belief in what makes his team work best. Each leader believed in a certain team culture, revealed that belief through specific training decisions, then watched that belief translate to the team. Of course, different projects or ventures may require teams that match the energy and creativity of the situation. They will always, however, end up reflecting the tone you set as the leader. The fact is that none of us sees reality. All that we see is OUR reality. Every one of us sees life through our own “sunglasses,” and through those lenses the world is “bent” to become our world—our perception. We all have sunglasses, and they almost never leave our eyes. Great leaders understand the value of their lenses—but take the time to look past it and understand their team. If your pack sees a totally different landscape than you, it makes sense that they won’t go where you direct— because that way just won’t make sense to their lenses. When leaders can adapt their vision for the inclusion of the team—while staying true to the belief that made them set out to race in the first place, that’s where you will find a winning team. Communication is one of the greatest assets, not only a dog racing team, but your corporate/team culture can develop, to gain the highest rate of return. When people can communicate with clarity, goals are achieved easily, and swiftly. When employees have an open understanding of the way others think and feel, they are able to manage conflict, overcome challenges, and communicate solutions quickly. Let your team know they are just that: a TEAM brought together under a common mission. If you feel like could use some guidance on improving communication in your team, drop me a note using the form below. You can finish the race strong if you keep it simple, identify your communication landscape, shape the culture with your actions, and learn to see through new lenses. Part of what makes the great Iditarod race such an inspirational feat is the level of teamwork necessary at every step. What looks like a bunch of dogs all doing the same job is actually a multi-faceted team—trained, orchestrated, and equipped by their musher. A full team is made up of 16 dogs, running in 4 different positions. 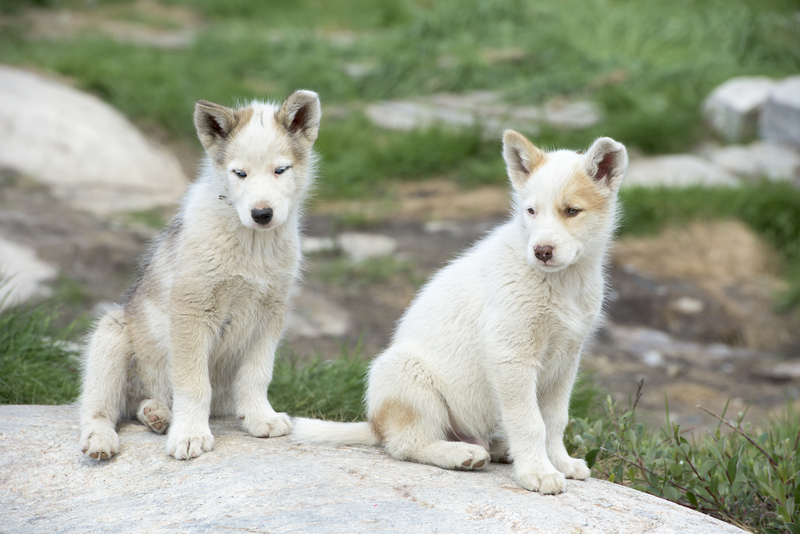 Every dog has a particular strength, and every musher knows exactly which dogs will play each position best. It takes the same analysis and social understanding to create a winning team in the workplace! Let’s look at each pack member in detail and how their strengths translate to your team. Keep in mind which of your own members would thrive in each position. Who Are Your Lead Dogs? Lead dogs know their way on the trail without being watched, and you can trust them to make decisions guiding others on the team. Lead dogs are smart, possess initiative, common sense, and the ability to perform even in less-than-ideal conditions. How can you tell which of your team members will execute well as a Lead? Let the Leads get to know your heart, and keep them close. Learn to develop a mutual intuition, and give them access where the rest of the team might not have. Watch for their health so you don’t have to replace them. Make sure their “paws” are in good shape—in other words, make sure they are free to run without anything hindering their running with full potential. The best teams have members who can operate in other positions. The Lead can be a burdensome place that wears, wearies, and stresses. So it’s natural for mushers to have their ‘leaders in waiting’ to run in the next position—which is Swing. These dogs have to be leaders in their own right, and for many, becoming that Lead dog is the next natural step. Swing dogs are directly behind the leader, understanding the leader’s moves and translating that to the rest of the team. They ‘swing’ the rest of the team behind them in turns or curves on the trail. They protect the Lead dogs from attempting a turn—only to find the rest of the team choosing not to follow! They are crucial to making sure everyone makes the journey and stays in sync. Pro tip: When Swing dogs are able to rotate with the Leads, both sets will remain fresh and the results will show. Not everyone on your team will be a Lead dog. In fact, if you had a pack full of them, your mission would probably fail. Chaos would ensue with everyone trying to lead. That’s why, settled in the middle, are Team dogs. They don’t have to be concerned with the stress of leading, and the sled is a comfortable distance behind them. They are free to simply pull with power and run. These pack members make up the momentum and pull as you need to get the race done. To get the project finished. To keep going towards the prize. Most of your Team dogs will never be Lead, and they are fine with that. But you know what? If we didn’t have them, we couldn’t do what we do. They are vital to every pack—and every business. We should accept that the race is not their life—and let them run from 8 to 5 as hard as they can, then clock out and leave it all. Wheel dogs run at the back of the pack, but are important for the steadying element they bring the entire team. It takes a calm and even temperament to run close to the jolting, unpredictable sled. The “sled” is not always pretty—things like cash flow and layoffs and contingency planning. There are things in your business that not every pack member needs to see and will scare some off. Which people do you allow close to the sled of business? 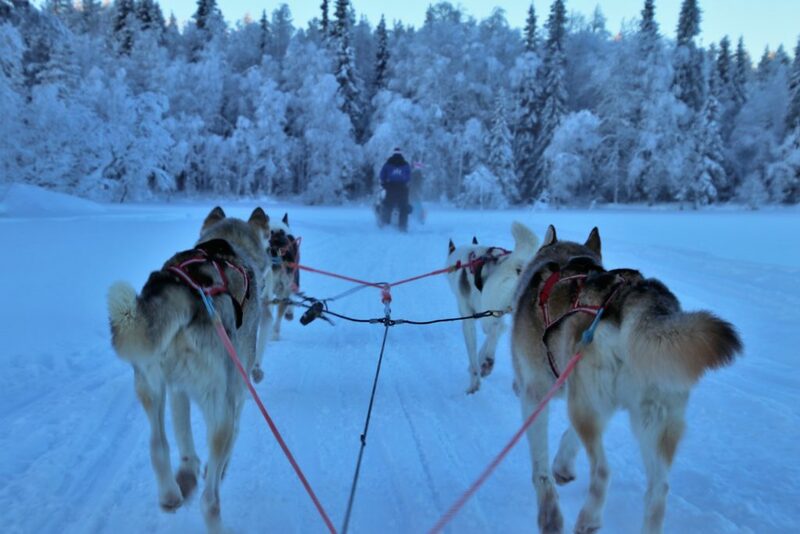 Team dogs need to run unhindered from the burdens of the sled. But remember, even Wheel dogs that are closest to the sled are still not on the sled itself. Though Wheel dogs are seasoned confidantes, people you count on to help you turn the business, they’re not meant to be pack mules for your emotional burdens. Keep an eye on those boundaries, establish outside sources of emotional care and support, and you’ll keep the Wheel runners—as well as the team as a whole—healthy. Of course, your people aren’t actual racing dogs. And you probably don’t wake up every morning, tie on your fur hat, and climb into a wooden sled. But it’s still true that how well your team performs is in direct proportion to how well you know your people and put them in the right spot on the team. All positions are necessary. Knowing which ones your team members naturally play and allowing them to run there not only increases their satisfaction, but can lead to better team performance in the long run. Building the perfect team is rarely a sprint—more like an adventure of endurance that is wildly rewarding to those who take the time to learn and truly prepare. As always, if I can help you maximize your team’s unique talent, drop me a note using the form below. After mushing with huskies in Alaska as part of the Iditarod race experience, I developed The R.A.C.E. Method™ to help leaders cross the finish line consistently and achieve remarkable results. If you’re about to take a leadership position, currently lead a team, or you simply aspire to lead the pack one day, take these skills with you every step of the way. The reality is this: To reach your destination, you have to prepare for the trail! RACE-ready leaders rise to the top because they’ve put thought and strategy into their team-leading. That’s why this proven process based on Iditarod success can empower you to achieve exponential results. The R stands for Ready. Before any veteran musher takes to the trail, he or she has to prepare—or risk certain death on the trail. A pre-race groundwork of strategy, expectation, and research will make or break success across 1,000 miles of wilderness. But to produce—or compete—at the highest level, you have to first be Ready. How will we run the race? How far will we go before we rest? What does my team look like? What should it look like? RACE-ready leaders figure out where their teams excel. Are they sprinters or long-distance runners? Do we have the right balance of talent and endurance? Ready leaders have done the research on competition. What advancements do others have that we need to learn? How do the top teams prepare? The Ready leader knows these things—not to be arrogant—but because he or she knows that only by understanding the trail, the mission, the team, and the sled will they be ready for the obstacles ahead. If the leader isn’t prepared, then no one truly is. And this just scratches the surface of all that goes into being RACE-ready, so keep asking questions. Keep planning. Keep making your team the best it can be. The A stands for Action. The best race strategy, if left in the lodge and not implemented, is always trumped by a marginal strategy implemented to the fullest. Remember that your behavior determines your team’s success. When the leader understands the timing, then the team understands the execution, and they can be coached to the highest level of performance. Make sure everyone on the team knows their roles, responsibilities, and actionables, then keep it simple. To execute successfully, you will need both Action and simplicity. Without Action, you’ve got a nice idea and nothing else. Without simplicity, you’ll never move out of the kennel because no one will understand what to do. Racing dogs are happiest when they have a clear job to do. They need a job. Don’t try to pull the sled by yourself and let the rest follow along. It’s dogs before sled, not sled before dogs. The C stands for Checkpoint. If you never stop to assess your progress, you can’t be sure you are on course. There are 26 checkpoints in the Iditarod race. All serve a purpose—and mushers are thankful for each one. There’s no way they could wrap their minds around a journey of 1,100 miles all at once. It helps to break the race down into segment runs. That’s something even the dogs know is achievable. Each segment’s terrain is different. Each piece of the journey stands on its own. At all your Checkpoints, take the time to evaluate your experience over that terrain. If things went well, amazing! Be sure to celebrate. If things didn’t go so well, record the lessons learned so that you can run the race better next time. Finally, the E stands for Evolve. If you fail to evolve, if you fail to change, if you fail to adapt, you will die. It happens in nature, in careers, and out on the trail. Evolving is a matter of continuous improvement where you make field adjustments to people and processes so you stay on track and always get better. List everything you could have done better. What is in your power to improve? How can you make the corrections now and apply them to the process before the next race? What lessons can you learn from the execution of your plan and how can you implement them going forward? The freeing part is that Evolving leaders are never stuck doing the same old things, repeating the same “average” results. If you’re not satisfied with the way your team is running; if your goals feel overwhelming—or not “whelming” enough—you can change that! Just look at the information you learned at the Checkpoints and your evaluated experiences, and put it to use in your daily running. Are You Ready to R.A.C.E.? No one becomes RACE-ready overnight. But just like in sledding, a team-leading victory isn’t all about speed. You need preparation and endurance. Get Ready for the trail by asking questions. Take Action—but keep it simple. Remember to Check your progress regularly. And always be down to Evolve the plan. In fact, if you’d like to learn more about The R.A.C.E. Method™, how to apply it in your organization, or engage other leadership and training resources, just send me a message using the form below and we’ll start a conversation. It’s the start of another year and if we are going to play ’18 at our best we need a few mental pictures to help us start. For me, while I’m not an avid golfer, playing 18 immediately brought the sport to my mind. 1. The game is mental, first. If your mind is not in the right space, you will never be fully present, be able to fully concentrate, and be in the right state of mind to achieve success. The disruptions and distractions of a cluttered mind, chaotically focusing on everything else but the next shot, is a recipe for failure. Where are your thoughts? Where is your ‘Head Space’? How’s your EQ (Emotional Intelligence)? Clear your mind of all the clutter by writing it all down on paper. Par won’t cut it – we can’t make ’18 the best while settling for status quo. Work on your EQ: Self-awareness and Self-Management. 2. Play YOUR game. All golfers have strengths and struggles within their game. Some are better in their long game – as they ‘tee-up’ the first shot, they can rip it. But their intermediate or short game suffers (They have trouble finishing). Others struggle with using their woods but are killer with their irons and on the green. Where are your strengths? Where are your struggles? How can you play to your strengths? Take time to learn your strengths, your approach. What parts of the game are you great? Identify areas of your game that you want to improve and work on those AND while you are working on them, whom can you link up with that is strong where you struggle? 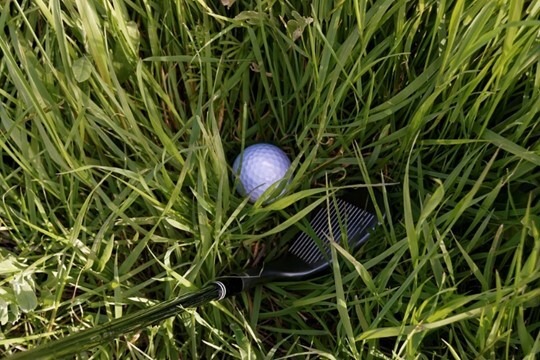 Where does your ball lie? What is the best next shot? You can’t play someone else’s lie. You can only play your own. You are going to get in the rough. You will have to play from ‘less than ideal’ circumstances. Get over that and get ready to take the next shot. You have options, consider all. Can I aim for that? Or do I need to get to a better place where I can make a better shot? Which is the best club to use? For me, for now, in this situation? Again, from where I am right now, what is the best – ‘Next Shot’? What does my Caddy or coach think? Can I get an outside opinion? TAKE. THE. SHOT. You miss 100% of the shots you don’t take AND there is a time limit in professional play. Remember to focus on EQ (Self right first). Trust in your training and do what you know how to do. You will play like you practice. Practice makes permanent. You won’t get better by repeating poor performance. You will reinforce bad habits. Practice the right things, the right ways, so that when it comes time, you’ll have the right muscle memory. Spend time working your way out of difficult circumstances and ‘normalize’ to tough situations. The goal is to not get there in the first place but if you find yourself in a tough spot – it helps tremendously to have been there before and have practiced multiple ways to get yourself out of a jam. 4. Character Matters. You can find yourself in a rough spot and want to cheat. DON’T. Golf is the only sport where it is normal to call a penalty on yourself. When keeping score, the most important aspect is keeping your self-respect while keeping score. To win at a game and fail at life is a shame. We have all fallen short – we all need life ‘mulligans’ AND, having said that, they should be the exception not the rule. What are my Values? My non-negotiables? Determine your values before you get into potentially compromising situations. Stay out of areas of vulnerability. Make your values known – loud and proud – as a defense mechanism, a first wall of accountability. Am I playing life in such a way that honors those that have played before me and sets the standard for those that will follow? 5. Who you play with matters. There are two sides to this point. First, we are more likely to become more like those with whom we spend time. If you want to elevate your game, elevate those around you. Second, the game is best played with great friends. Life is lived best when lived with others that bring the best out of us. Who is in your group? With whom am I paired? Surround yourself with ‘A+’ players and work like crazy to be worthy of being in their group. Can you find a Mentor? Mastermind group? Colleagues? Coach? Surround yourself with people of Growth – personally and professionally. Attitude isn’t everything but it’s pretty darn close! OK – Let’s drain this putt and head for the clubhouse! For 2018, let’s have a blast – let’s enjoy the game that we are in and enjoy the people around us. Line out what you want out of the 2018 course. Know yourself, your mental state, your EQ, and your skillset. Practice your craft. Even from the rough spots! 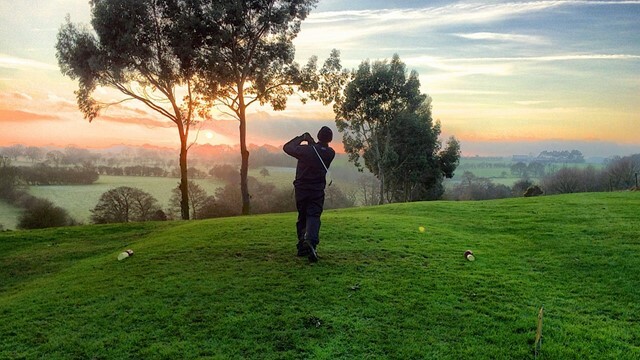 Don’t worry about all 18 holes and the 80-100 strokes it’s going to take to get there – focus on self, par won’t cut it, focus on the NEXT shot, and give it all you’ve got! May the winds be fair and the greens be favorable! Thanks for signing up to receive my free e-book of Fullerisms! I’m happy to share this gift with you, and I hope you thoroughly enjoy it. Simply sign up using the form below and I’ll send it to you right away. I’ll also send you some bonus material so you can learn more about who I am, both professionally and personally.